INGREDIENTS: Organic Olive Fruit Oil, Candelilla Wax, Organic Coconut Oil, Organic Shea Butter, Organic Palm Fruit Oil, Organic Jojoba Seed Oil, Rosehip Seed Oil, Vitamin E, Organic Sunflower Seed Oil, Organic Neem Seed Oil, Organic Rosemary Leaf Extract, Organic Peppermint-Lemon-Lemongrass Oils, 20mg CBD (Cannabidiol) Distillate. At CBD Allies our healing lip balm is all natural Vegan, Organic, non-GMO. 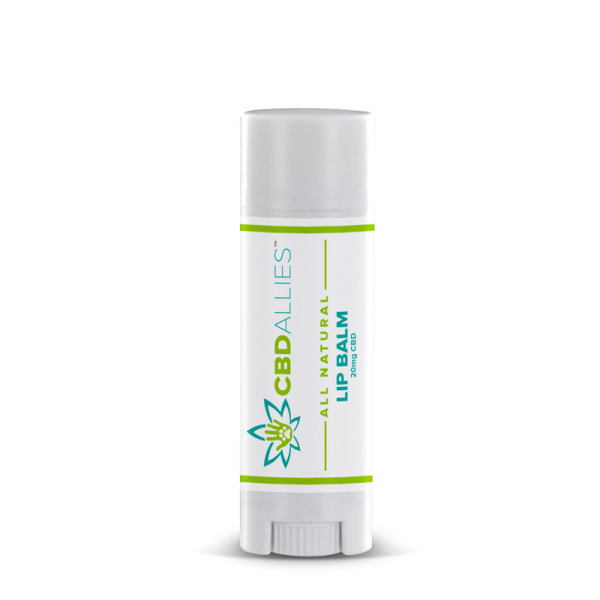 This wonderful lip balm leaves your lips with a silky healthy feeling. Add a tube or more to your order. Makes an excellent low-cost gift as well!